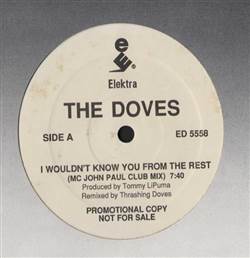 Doves - I Wouldn't Know You From The Rest 12"
ROCK, Elektra, USA, Unknown Year... Indie Rock with I Wouldn't Know You From The Rest (MC John Paul Club Mix), I Wouldn't Know You From The Rest (Bonnie And Clyde Mix), I Wouldn't Know You From The Rest (Florida Beachcomber Mix). 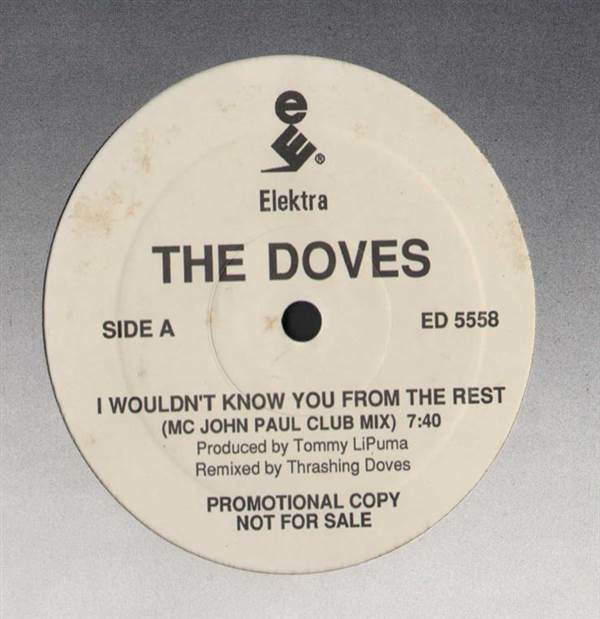 Remixes by Thrashing Doves. Original Twisters - Come On And Twist LP Randy Burns And The Sky Dog Band - Livin' In The Country / Seventeen Years On The River 45 Journey - Who's Crying Now 45 Pat Benatar - Le Bel Age (Album) / Le Bel Age (Edited) 12"